Dan was able to utilize his legal skills in a different way at Good Morning America on July 15th. 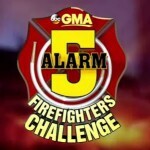 Dan joined Lara Spencer to help judge the “GMA 5-Alarm Firefighters Challenge”. 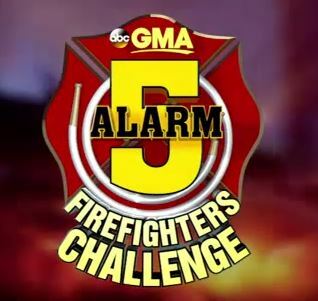 Viewers were able to vote and select the three final firefighter teams who competed for a $10,000 prize to go towards their fire department back home. The finalist were from Tacoma, Washington, McAllen, Texas and Gulf Shores, Alabama. The finalists raced through an obstacle course that included a bucket brigade, saving a stuffed kitten from a tree and gearing up in uniform. Thanks to Dan and Lara’s watchful eyes, the firefighters from McAllen, Texas were awarded victory which included medals and that $10,000 prize. Watch the full clip here.